It’s easy to look away when you see a homeless person on the street, but it is more difficult to avert your eyes when faced with an image that’s 5 stories tall. 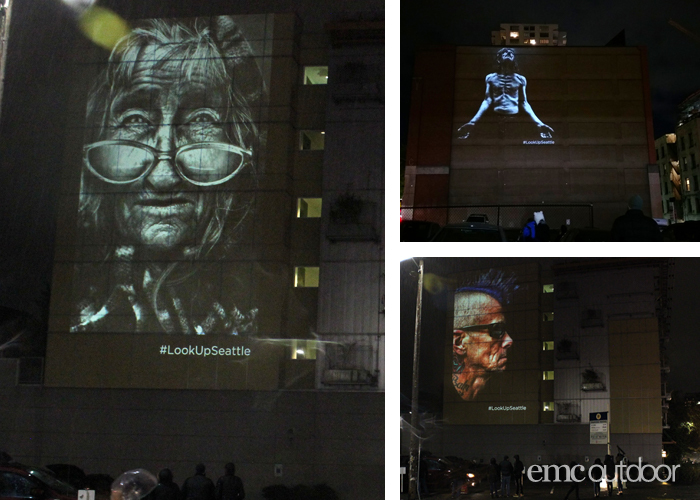 The powerful Lost Angels exhibit was projected for three nights onto 8 buildings throughout Seattle, including the Seattle Union Gospel Mission’s Men’s Shelter. Lee Jeffries’ photos have been seen all over the world for over 10 years. 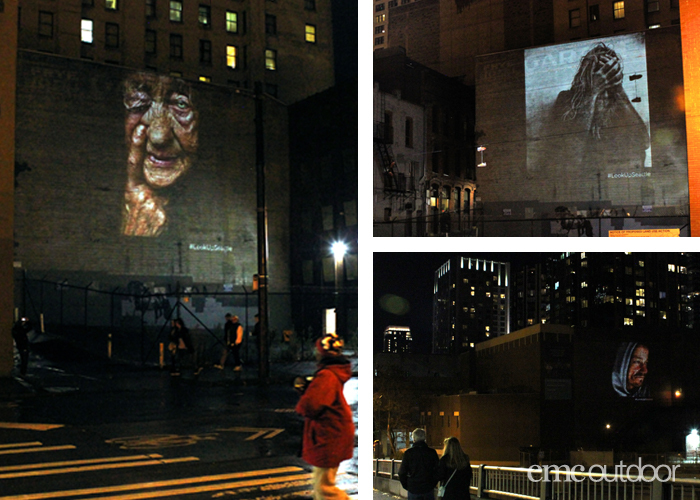 EMC Events helped bring those photos to life on the facades of buildings for the first time ever. 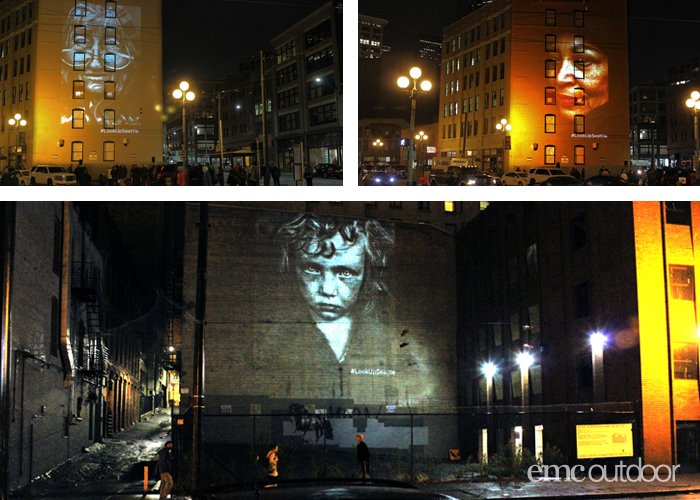 The Seattle Union Gospel Mission used one night of the projection as the focal point for a press conference, and the campaign drew extensive media attention like here, and here, and here, and helped raise awareness for the homeless in Seattle’s community and beyond. 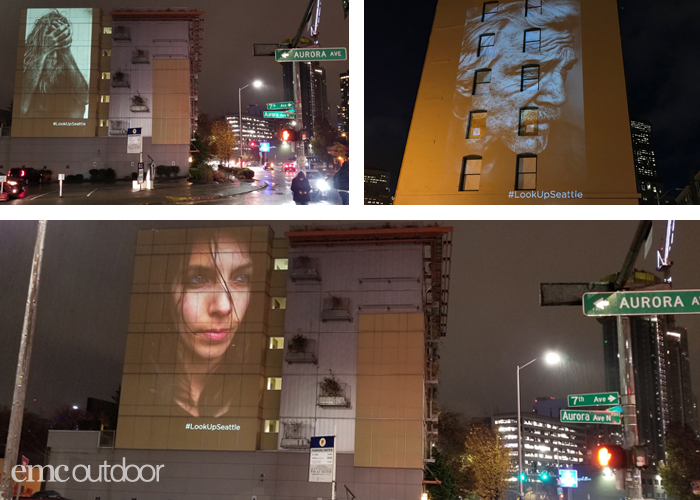 November 17, 2017 | Filed under Daily Updates, Guerrilla Marketing and tagged with EMC Events, projection media, Seattle.